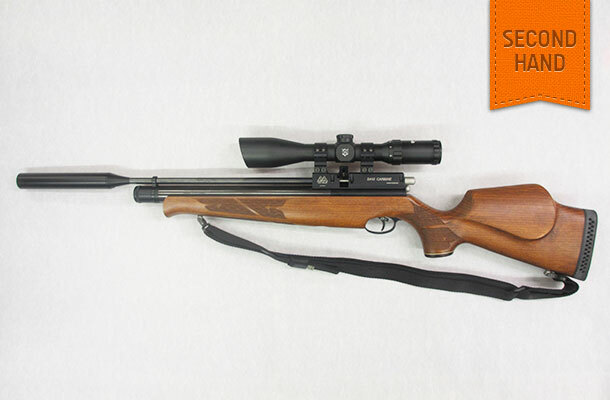 Woody’s are able to offer another clean example of an Air Arms S410 Carbine available in .22 caliber, which will give approximately 100 shots per fill. 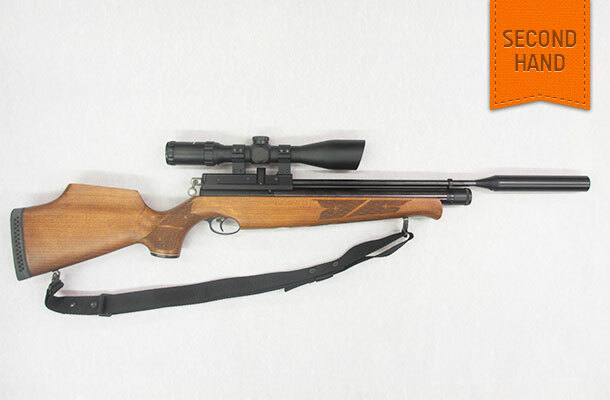 The rifle has a 10 shot magazine as standard and has been supplied with a particularly well figured beech stock. The rifle is fitted with a 1.5 – 6 x 44 Nikko Stirling “Platinum” sight and Air Arms Sound Moderator. This outfit would have cost approximately £968-98 when new.